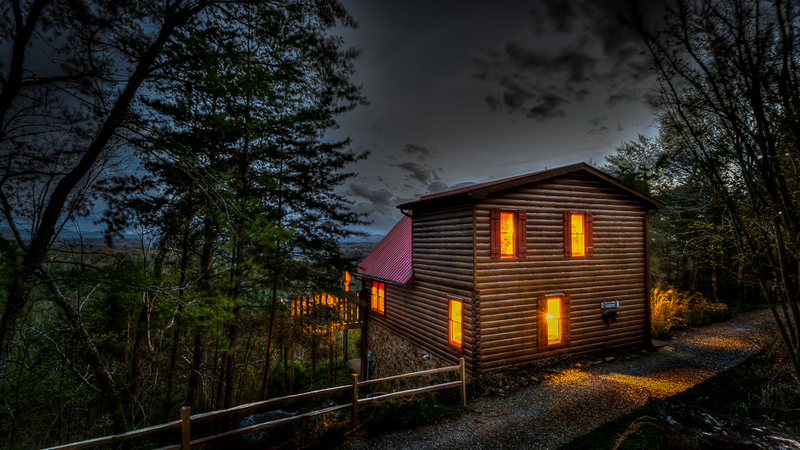 Perched high on a hill in the My Mountain area of Morganton, The Perch offers a cozy, secluded retreat for a pair of lovebirds to nest, rest and rejuvenate. And with 180-degree majestic mountain views, staying at this Gordon Cabin will make you feel like you're on top of the world. The Perch's main floor features an open plan that takes full advantage of the panoramic vistas before you. The great room offers a casual and comfortable setting, and thoughtful attention to detail has been given throughout the home, such as greenery and ornamental accents. Rise and shine to a glorious morning. 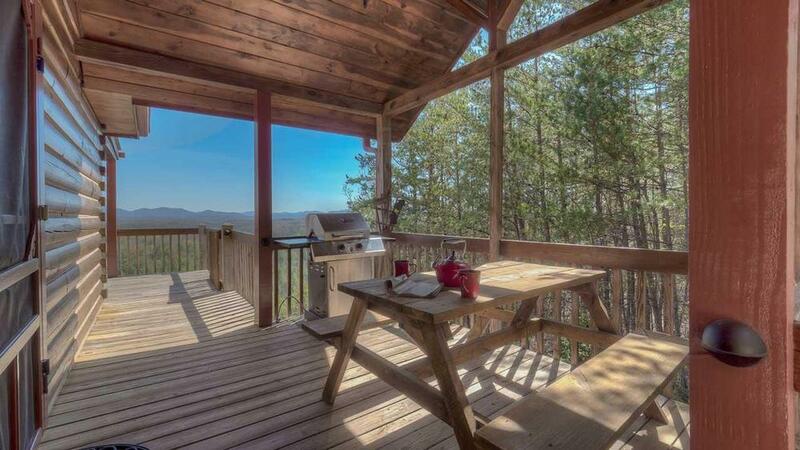 Make some bacon and eggs, grind some fresh coffee beans and start the day with breakfast on the porch. Early birds may want to hit the links while it's still cool in the morning. Play a round of golf then have lunch at the clubhouse. In the afternoon, perhaps take a historical train ride on the Blue Ridge Scenic Railway and learn about the North Georgia Mountains of a bygone era, then visit the boutiques and antique stores of downtown Blue Ridge. Back at The Perch, the deck is a great place to while away a lazy summer day, reading a book while lounging on a rocker or sitting on the porch swing, sipping a glass of wine and admiring the views. Pets can keep you company worry-free as the gated deck will keep them safe and sound. 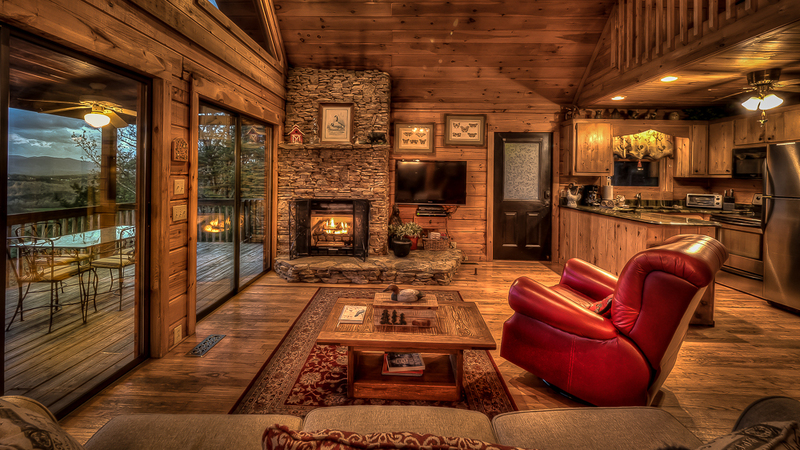 If the weather's misbehaving, relax indoors playing board games or chess, or watching a movie while staying cozy by the warmth of the stacked-stone gas fireplace. Have dinner at home as the stars begin twinkling. The hot tub on the open deck was made for stargazing, so pour a glass of bubbly after dinner and indulge in a romantic dip in the moonlight. 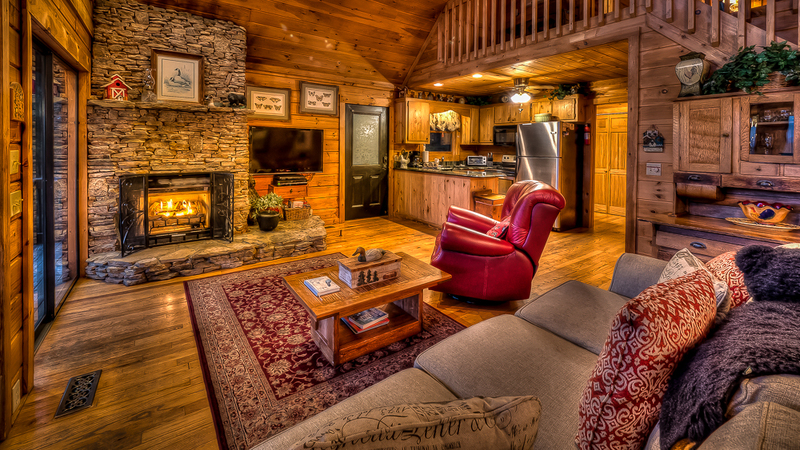 This nest is easy to roost in, with every convenience on the main floor that you may need to enjoy your stay. If you'd like to sleep upstairs, the beautiful French toile accentuates the bedding and window valances, offering a lovely focal point for the spacious loft. Awake to mountain vistas as far the eye can see. What a way to start the day! The Perch is an intimate setting for rest and relaxation. Whether it's for a few days or a few weeks, perch here for a while and you'll come away feeling refreshed, recharged and ready for the world. 01/19 - Supportive bedding and view. Attention to details. 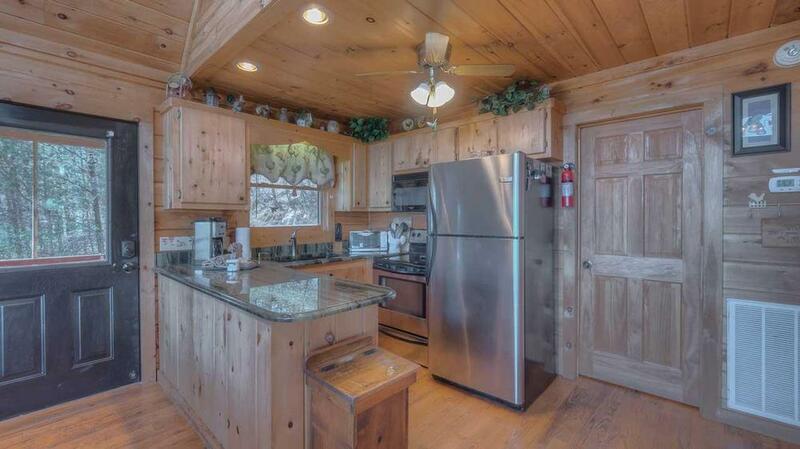 12/18 - Amazing view, open kitchen, Internet, well-equipped. 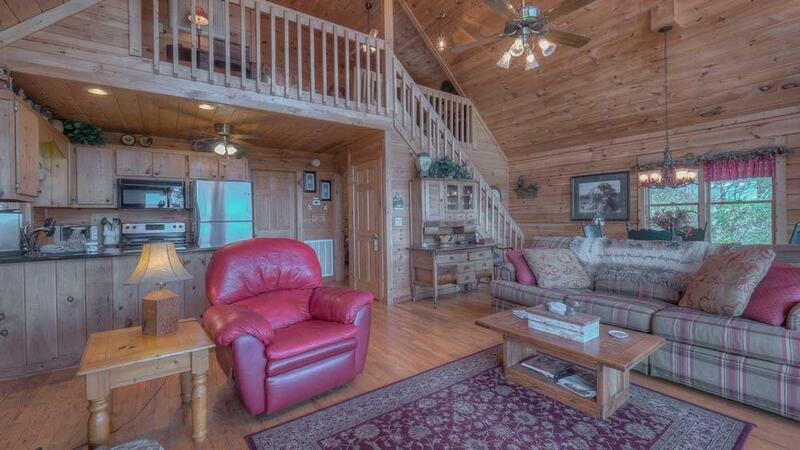 11/18 - Wonderful scenery, one level living area, cabin is easy to get to. Your company is good, and attentive to customers' requests. 11/18 - The view. The loft and amenities like satellite, toiletries, and tons of kitchen items. New toaster. Welcome goodie bag. Loved the VHS tapes. Great customer service. Friendly and helpful on the phone. Goes the extra mile from booking to check-in. 11/18 - The view was breathtaking!!! It was cozy & loved the decor & fireplace! We enjoyed the hot tub & big covered porch! The cabin was clean & the location perfect! Quiet & very private.. perfect for a couple! The entire experience with all the staff was wonderful! The directions were perfect! Thank you!!! 08/18 - It was as advertised: good view, quiet, comfortable. Your company is user friendly: you deliver service to the customer. 07/18 - The view, the private aspect; the layout of the cabin is great for a couple. Wonderful company to rent through. Always courteous and efficient! 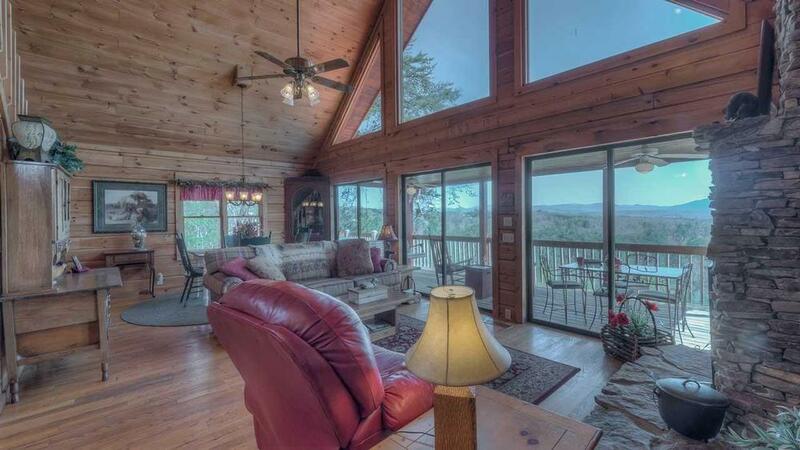 06/18 - Quiet, clean cabin that provides an amazing view of valley and range of mountains. A wonderful distraction from the hectic everyday workdays and a completely relaxing vacation. Well managed from reservation to check in. My wife is already planning our next vacation. 06/18 - Fantastically cozy for our family, kids loved staying in the upstairs open bedroom and we enjoyed the great view! Will come again, friendly staff, very accommodating, fantastic experience We have stayed at many cabins.. this by far has been the best. 05/18 - The view is unparalleled. We love the coziness of the home as well, but nothing beats the view. No complaints. Easy booking process! 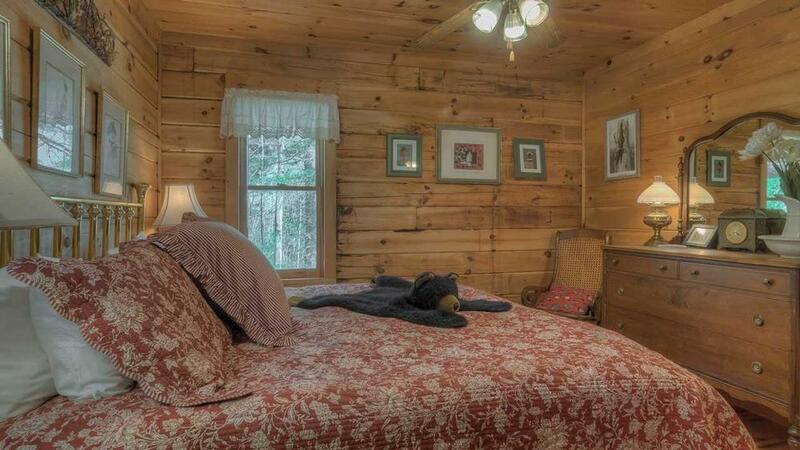 4/18 - The cabin is just right for a family of 2-3 and most of all it is very nice and well kept. One of the most relaxing weekends I’ve had! Great company with excellent customer service. 4/18 - Loved the bed and the kitchen. Perfect! 08/17- Stocked kitchen amenities, great bath products, plenty of linens. 08/17- The view was breathtaking! The pictures sold me on this house and it did not disappoint! I was very pleased with the prompt responses I received and the detailed information on the rental home. Directions were spot on! 08/17- This home had a beautiful view and was the perfect size for a couple's retreat. We found the hot tub to be clean and the kitchen was well stocked. The location is also a plus. Close to town but still very much in the country. Very professional and accommodating. 07/17- Cozy cabin, felt relaxed, beautiful view, updated kitchen/appliances... Everything worked well. Plenty of supplies. Hot tub was awesome. The company is excellent, caring. 06/17- This place was perfect for us! We really enjoyed the HUGE covered porch and the view. I had the best experience - and have already recommended you to several friends. I felt that the information provided to us before our trip was very thorough and helpful. 05/17- Great view, very clean, well stocked. Very impressed. The agent was very helpful and patient, explained everything, answered questions, didn't feel rushed. Asked question by email and got quick reply. Got directions, etc. by email exactly 10 days prior to arrival as promised. Emails very helpful and timely and explained things clearly. 04/17- Everything was wonderful & it felt just like a home away from home, we loved it! Very pleasant experience doing business with you, we will return soon. 02/17- We are foodies and very much appreciated the cooking utensils and cooking appliances. 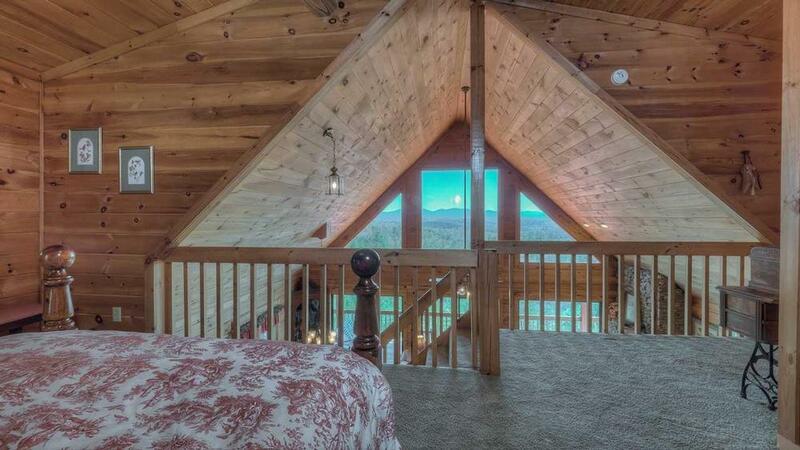 Would definitely rent again from Escape to Blue Ridge. 01/17- Great location. Perfect for 2 people. Everything you need. 01/17- The home had everything we needed. 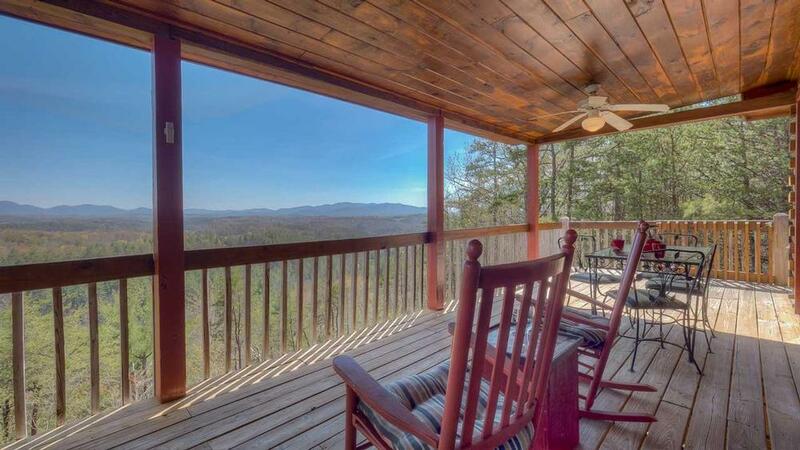 The view, porch, hot tub, wifi, proximity to Blue Ridge. It was fantastic! The staff were attentive and kind and easy to talk to. 12/16- Our favorite features of the home were the cleanliness & the tasteful decor. The staff were helpful and knowledgeable about the area. 12/16- It was very cozy. Wonderful view from the hot tub! This cabin was an absolute dream to stay in!! 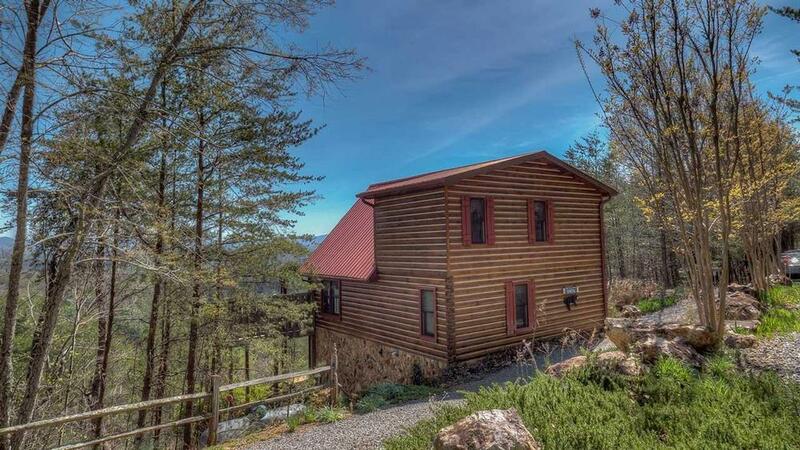 I was very pleased and satisfied with the whole process of renting with Escape to Blue Ridge. Will definitely be using y'all again! I asked my girlfriend of four years to marry me and she said YES!!! Thank you so much for your hospitality!!! 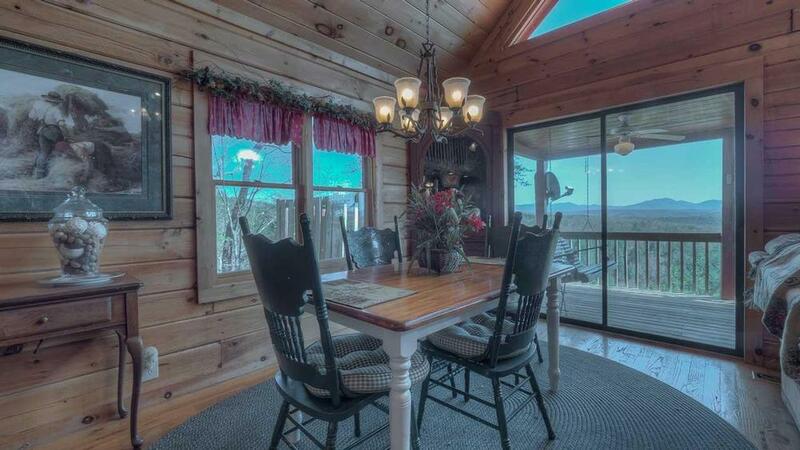 11/16- Pleasant cabin, clean and quiet with breathtaking views. Very professional company. Made the whole travel experience worthwhile. 11/16- The hot tub was wonderful! We were impressed with the quality of the towels you provided and the cleanliness of the cabin over all. The company was helpful in every way. I got lost coming in and you guided me right to the cabin. I had a wonderful time and have recommended you to a friend who will be coming with family in November 2017. 10/16- The view was awesome. The company is very easy to work with. 10/16- I truly enjoyed the view. I found myself staring off the balcony for hours. It was really serene. The scenery in the area was amazing also. Very professional company. 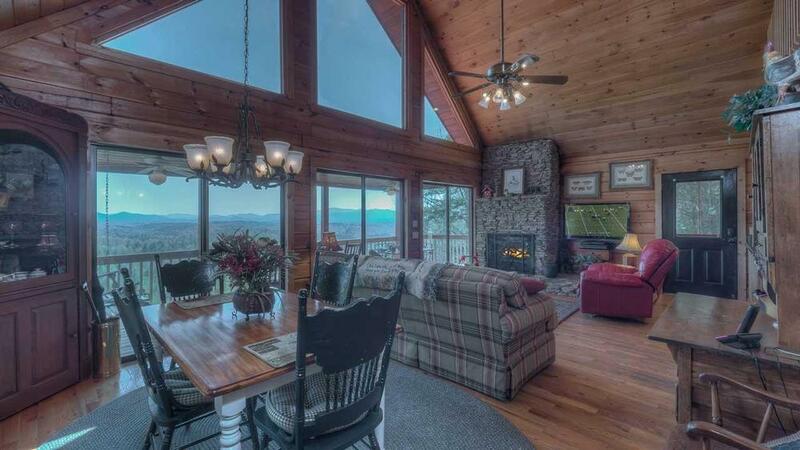 10/16- We loved the large windows giving you a beautiful panoramic view of the mountains. Everyone I spoke with was quite pleasant and very helpful. I enjoyed dealing with this company. 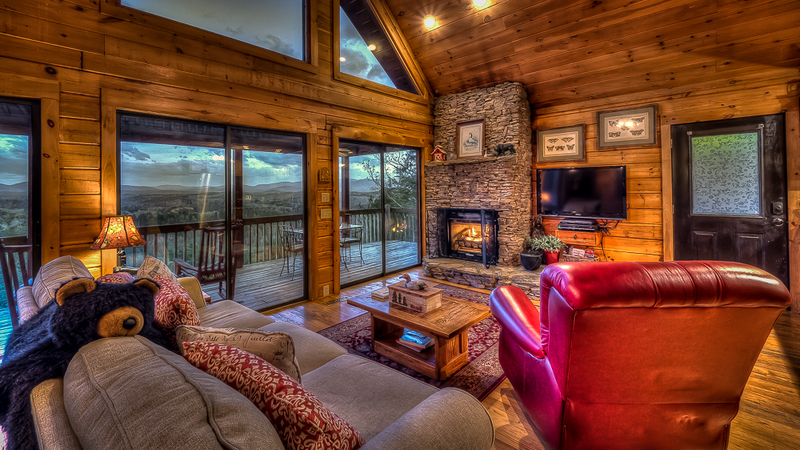 10/16- The view was great., the house very comfortable and clean and the staff at blue ridge wonderful. We are already planning our next trip. 09/16- The view from the deck was breathtaking. The staff are friendly, courteous and helpful. 09/16- The Perch is our favorite home away from home. This was our second time renting it, and it won't be the last! This time, we brought friends so they could experience it, too. 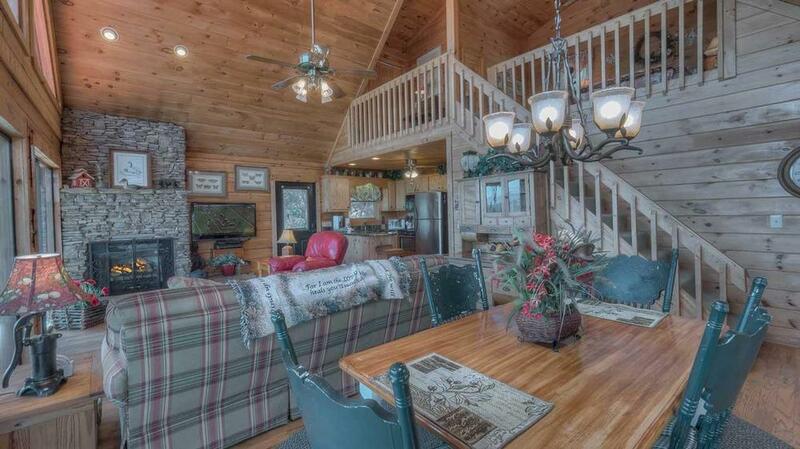 It has an upscale feel in a cozy cabin. The view on the deck is superb, and it changes every five minutes. The hot tub is clean and also has the same wonderful view. The upstairs bedroom overlooks the living area and has (again) the fabulous view. The glass table outside is very elegant and allows you to enjoy the view while eating. 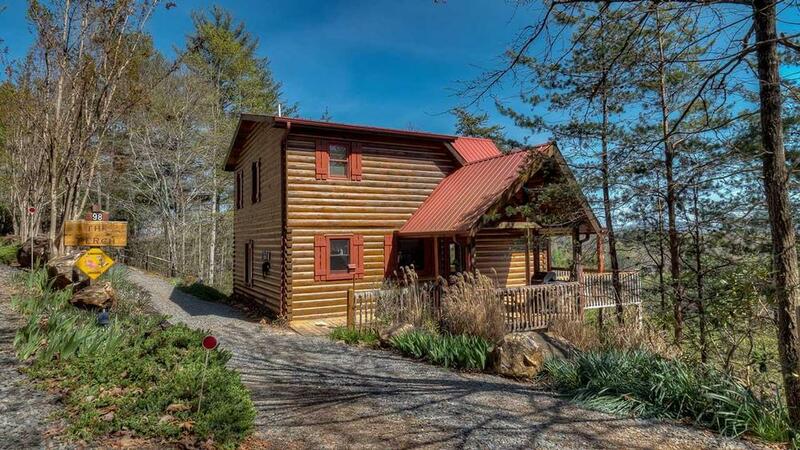 We have been coming to Escape to Blue Ridge for over two years.Everyone I have interacted with has always been extremely helpful and courteous. 07/16- Great view. Easily accessible from Blue Ridge. Very relaxing atmosphere. Easy to talk to. Very helpful in recommending quality local businesses. A pleasure to do business with. 07/16- The home was well outfitted with all of the household items needed for a comfortable stay. Pleasant decor and very clean. 07/16- The view. Proximity to Blue Ridge were great! 05/16- The view. It is beautiful. The coxy feeling of the home. It is peaceful and safe. 04/16- The view was fantastic. Convenient location to hiking trails, waterfalls and town. 03/16- Paved road access, nicely decorated, nice view. 02/16- The view was simply amazing!! Great experience! 02/16- Love the view & privacy! Extremely friendly and helpful reservation staff. 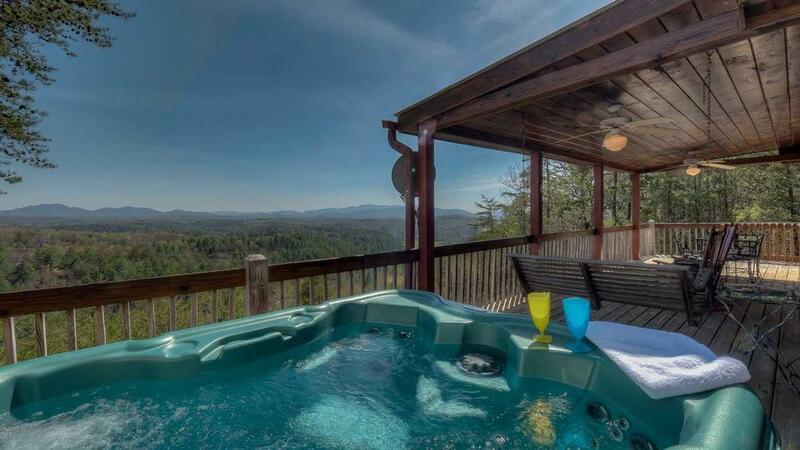 01/16- The view is absolutely amazing, and having a hot tub with that view is even better. We came from a house that had a broken heater, so being in a nice, warm cabin in the mountains was kind of the perfect thing. I think you guys are wonderful. Very easy to deal with, no fuss with check-in like some other places, and very clear about stuff like check-out policies. 01/16- Not crowded the vistas were magnificent. Very nice setting, comfortable clean cabin! 10/15- The deck and the view was awesome. 09/15- The view was incredible Great company. Fantastic and made the reservation with ease. 08/15- The view is incredible!!!! I spent every morning and evening sitting on the porch watching the clouds. The cabin is decorated very cozy and is just the right size for a small group. The drive to the cabin is paved up to the last 100 ft and not steep. I loved staying here. 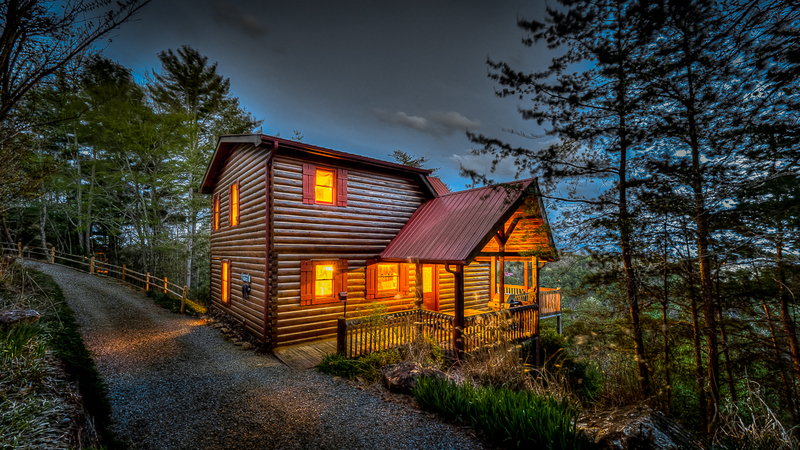 I have been coming up to Blue Ridge for several months because I'm building a house and by far my experiences with Escape to Blue Ridge have been more enjoyable than any other rental group in the area. When I finish my house I hope to use your company to rent it out. Your staff is more personal. 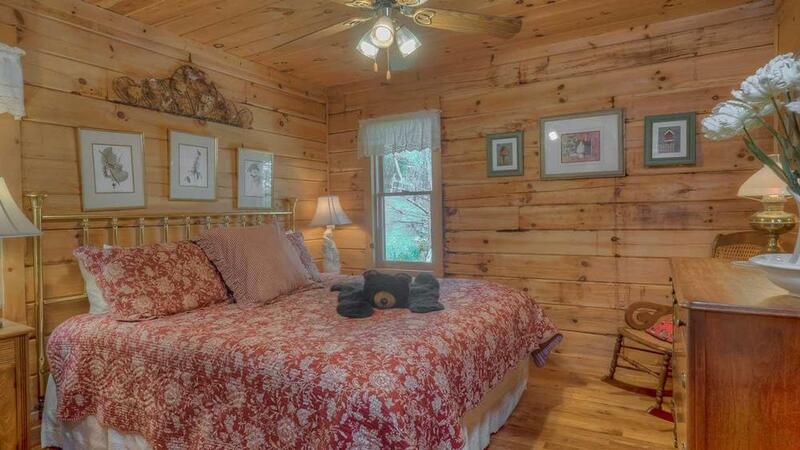 The cabins are clean and cozy and in good condition. 07/15- My husband and I really enjoyed the "creature comforts" of The Perch. It was humbling and refreshing to be able to enjoy all that God created and still feel so at home. This was my first experience with Escape to Blue Ridge. The staff was awesome. Both times that I spoke to someone on the phone, the agent was extremely helpful. The first agent helped me book The Perch. I spoke to the second agent the day we arrived at The Perch. We were so impressed that we booked our Labor Day weekend trip immediately! 07/15- The views! Amazing! The well-equipped kitchen and comfortable living area. The hot tub on the balcony was a plus too. 06/15- The view was beyond beautiful. It was so relaxing and felt like a home away from home. We can't wait to return. 06/15- The panoramic views and privacy. A secluded niche nestled on the side of the mountain. 05/15- Lovely home! Very comfortable, and above all, the view is epic. We wanted to move in and stay! 05/15- The view from this cabin was exactly as it stated. The beds were comfortable. Plenty of places to get and explore. 04/15- The Perch was a great relaxing get away from the city for us and our two girls. 03/15- The view and location was amazing. Sleeping in the loft and waking up to large windows viewing out into the mountain were ridiculously cool! My girlfriend and I are planning to come back later in the year. It was a great trip and honestly better than we even expected. Thank you again for the hospitality. 02/15- The view was our favorite. Also the layout and accessibility. The staff at Escape to Blue Ridge was wonderful and had great follow up and attention to detail. 01/15- Amazing views!!!! Very cozy & welcoming. 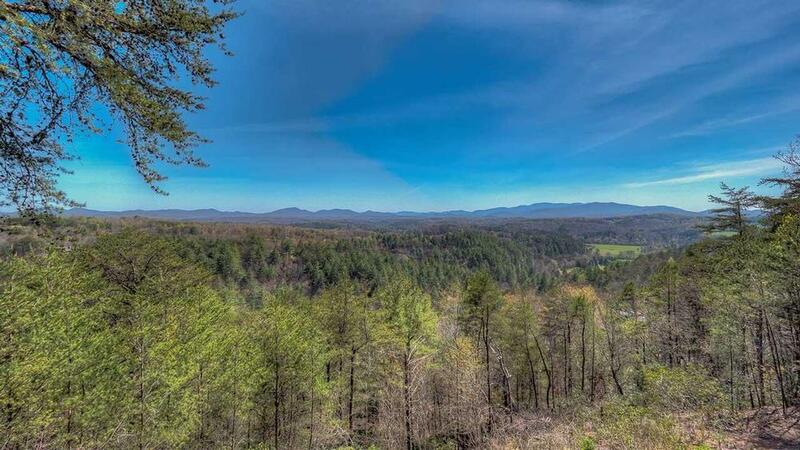 11/14- Our favorite feature would have to be the amazing view... unobstructed, long-range view of the mountains. After that it would be that it was very cozy, welcoming, nicely decorated and had a great deck. 11/14- We really like The Perch, just our size, everything provided. This is the second time my daughter and I have been there. We just like to read,play Scrabble of which I lost every game. We took side trips and mostly relaxed. The dog really enjoys this. I was so beautiful this time of year. We really like it in the mountain after the hot, humid weather in Florida.We definitely will try to come back again. 11/14- This cabin was perfect! Nicely decorated, very comfortable, beautiful view and not overly crowded w/other neighbors. Renting a cabin thru EBR was a great experience. Making reservations was easy, communicating w/staff was pleasant, the book of things to do was convenient and we would definitely rent from EBR again. THx for a great experience! 10/14- the loft and the incredible view were great!!!! We thought it was wonderful, the accommodations and service was excellent and just had an incredibly relaxing and enjoyable week! 10/14- We loved virtually every single aspect of The Perch! The view was wonderful! We just sat and watched the valley and mountains in the distance and listened to the storms as they rumbled through. 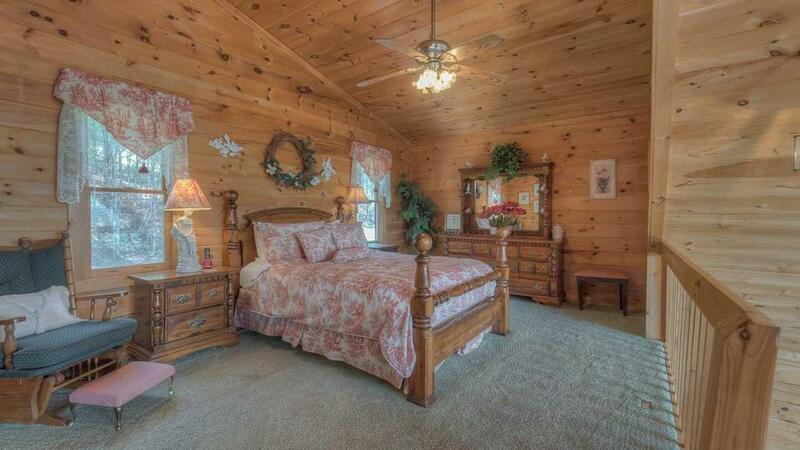 We liked the fact that the main bedroom and bathroom were all on the main level with the porch and the hot tub. We much prefer non screened in porches and hot tubs that are under the stars, so this was great too. We have been coming to the mountains every year for almost 10 years. We stay at a different cabin each time. The Perch was closest to the perfect cabin for what we like of all the cabins in which we have stayed! 08/14- Loved the giant window looking over the mountains. We slept in the loft and enjoyed waking up to the lovely view. Cabin was great. Exactly as advertised. Escape to Blue Ridge was fantastic to work with. Very professional and easy transaction. The cabin was really nice, view was great,furnishing was nice. But the a/c was very lacking and needs work. The dryer sounded like a cat was inside. Besides those two items it is a really nice cabin. 4/18 - The view, the privacy, and the overall accommodations were awesome!